Romaine lettuce is shipping again following a late November outbreak of E. coli, but only after the Food and Drug Administration called anew for producers to change how they track the leafy green vegetable in the supply chain. For now, romaine lettuce that has been deemed safe to eat will come with labeling, and include its origin, according to the FDA’s website. 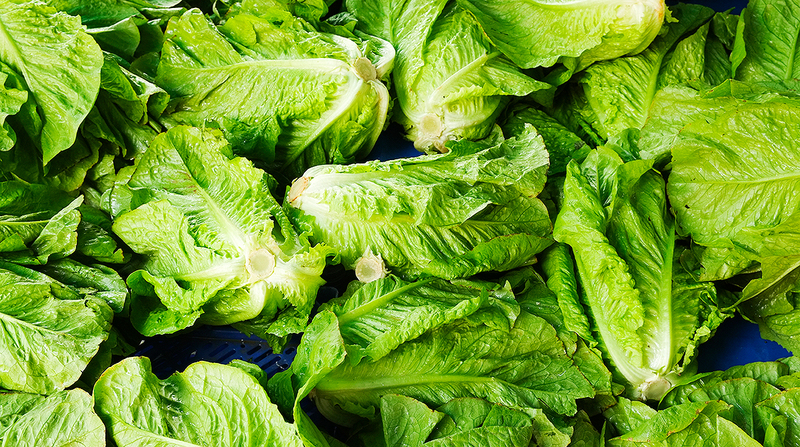 In some cases, truckloads of romaine lettuce were in transit as the recall was announced, according to an official with the Allen Lund Co., a La Cañada, Calif.-based third-party logistics company specializing in food deliveries. When the Centers for Disease Control advised consumers, restaurants and retailers not to eat, serve or sell any romaine lettuce while it investigated an outbreak of E. coli, Rose knew what he and his drivers had to do. Two days before Thanksgiving, he told 15 drivers to dump their truckloads of romaine lettuce. The order was the easy part. Finding places to dump the 15 truckloads was another issue. Rose said some of the drivers had difficulty finding a place that would accept the loads. Eventually the lettuce was sent to landfills and dumps. No one yet seems to know the precise economic impact on the trucking industry and producers. Experts declined to estimate how much romaine lettuce was tossed or how much it cost everyone from producers to the supply chain to retail outlets. But Trevor Suslow, vice president of product safety for the Produce Marketing Association, a Delaware-based trade group, said the dumped lettuce likely meant losses in the tens of millions of dollars. “There was a huge impact,” he said. Now health officials, food producers and haulers are trying to figure out the best way to use technology and logistics to pinpoint future sources of tainted leafy greens. Although the disruption began Nov. 23 when the CDC issued the alert, it was the third E. coli outbreak related to romaine lettuce within 12 months. Health officials were able to estimate the source of the tainted lettuce since producing regions in the West rotate by season. Romaine lettuce is generally produced in the central California area in the warmer months, and in an area that stretches from Yuma, Ariz., to southern California’s Imperial Valley in the colder months. The FDA traced the outbreak to the California counties of Monterey, San Benito, San Luis Obispo, Santa Barbara, Santa Cruz and Ventura. E. coli produces a toxin that does not generally affect animals. But in humans, the strain (officially Escherichia coli O157:H7) spreads toxins that are most dangerous to children under 5 years of age and to senior citizens, said Michele Jay-Russell, research microbiologist and manager at the Western Center for Food Safety of the University of California at Davis. So far, there have been 43 cases in 12 states, with 16 hospitalizations but no deaths, according to the CDC. In the meantime, Rose said orders for alternative greens are coming in from vendors. “They still have shelves to fill,” said Rose.